Consumers spent $41 billion on mobile gaming in 2016, driven by blockbuster hits like Pokémon GO and Clash Royale. 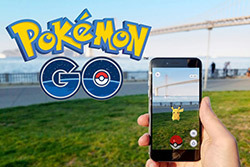 The mobile games market has started to mature and now more closely resembles traditional games publishing, requiring ever higher production values and marketing spend. The first year for virtual reality was sobering, especially for manufacturers of dedicated hardware. A high price point, the absence of a strong content line-up, and difficulties with properly delivering through retail cooled consumers’ expectations of the Oculus. SuperData expects firms with more experience in hardware manufacturing like Sony and HTC to take the lead in 2017. Despite its relatively small size ($892 million), eSports has become the focal point for publishers, TV executives, and advertisers. A string of investments in pursuit of connecting to a new generation of media consumers has built the segment’s momentum, as major publishers like Activision, Riot Games, and Electronic Arts are exploring new revenue streams like selling media rights in 2017. Consumers increasingly download games directly to their consoles, spending $6.6 billion in 2016. The move improves margins across the board, and allows publishers to generate revenue through the sales of add-on content, expansion packs, and micro-transactions. PC gaming consoles were doing well, earning $34 billion and driven largely by free-to-play online titles and downloadable games. Incumbents like League of Legends together with newcomers like Overwatch drive enthusiasm. PC gamers also saw a big improvement with the release of a new generaTon of graphics cards, offering a 40% increase in graphics power and a 20% reduction of power consumption.